The story begins with Felicity Jamison returning home for a funeral. We see her combating severe anxiety as a result of a horrific incident in her past. 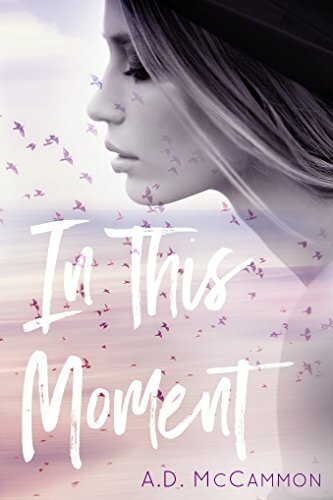 Amidst her struggles and dealing with the loss of a family friend who happens to be Nate Davenport’s grandfather, she’s cornered by her feelings about Nate, her estranged best friend. Nate on the other hand, is enthusiastic about reuniting and closing the gap between himself and Felicity. However, Nate has questions. Why did she leave? Why did she distance herself? You’ll have to read the book to see both Felicity and Nate overcome their demons and grief. 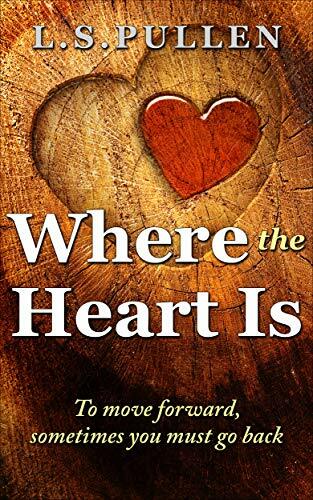 Where The Heart Is, is a second chance romance filled with everything you need in one. From heartache to laughter, angst to affection…it’s all there. I enjoyed the read. I found both main charaters to be likeable and very relatable. L.S. Pullen handled anxiety with a level of authenticity I hardly ever see. The story was easy to fall into and experience from the main characters’ point of views. As a debut novel, I was pleasantly surprised. Definitely looking forward to the other stories in this series. L.S. Pullen was gracious enough to do a little Q & A for my blog. Keep reading to learn more about her exciting journey and what’s to come. 1) Firstly, a big congratulations on your debut release. I enjoyed every second of it. How has the responses been so far? -Thank you so much. I’m so pleased you enjoyed it. So far, so good. A lot of the feedback has been positive and very much appreciated. 2) How did your writing journey begin? -I always enjoyed writing stories growing up, kept a diary, and said I’d love to write a book some day. Somewhere along the way I lost myself, but I fell back in love with reading in 2012. All because of Tarryn Fisher. After I finished The Opportunist I had an epiphany and it’s when I said “I’m going to write my book now.” And I did. I had been writing on and off but it was the last two years everything came together. 3) What inspired Felicity’s and Nate’s story? -It was inspired by what was meant to be my first book Heart of War, and the story of their grandparents. But after losing the whole draft, with the exception of three pages, I decided to write this story first. Heart of War will now be the prequel. 4) I really enjoyed the supporting characters in Where The Heart Is. Can you tell us a little bit about what’s next for the series? -Dysfunctional Hearts will be next, Charlie and Sophie’s story, I wrote it along side WTHI. I have a finished draft ready for some TLC hopefully I will be able to share it early 2019. 5) Every writer is first a reader. What books got you into reading and who are some of your favourite authors to recommend? -Wow! How long do you have?! Growing up, it was books by Hans Christian Andersen and Roald Dahl. J.R.R.Tolkien LOTR and The Hobbit. Stephen King. Classics, I love a classic. Okay, and I admit it, Mills and Boon and the occasional Sweet Valley High book. Always Tarryn Fisher, Stephen King, Colleen Hoover, Willow Aster, Amy Harmon, Claire Contreas…so many talented authors out there. Not to mention a tribe of new to me authors. 6) Would you ever consider writing outside of contemporary romance? -Yes, absolutely. I have a few sitting in a WIP folder on my laptop, itching to be free. 7) Because we’re on the topic of romance…what’s your idea of a perfect date? -My idea of a perfect date…no idea to be perfectly honest! (Insert introvert here* ) I do love my home comforts, maybe a nice meal at home with someone who makes me laugh and a good film. 8) Tell us a little more about yourself. Besides reading and writing, what else makes you happy? -I love photography, films, art and music. Being a dog mum was the best, I miss my pooch very much, memories of her bring me joy. But anything I can do to lift others. It makes me happy seeing others happy. You can keep up with the author via the following social media links. As usual, thanks for stopping by. While most book bloggers and book reviewers out there write awesome and informative reviews, I’ve seen multiple discussions about how book reviews are done. In one of my writer groups, I’ve seen authors say they won’t read reviews because they put them off or make them feel a certain way. While I respect authors’ decisions not to read harsh reviews, I’ve also come across books being reviewed in a non-reviewing way. Often, we don’t like stories or characters and feel it necessary to review how we think the book should end or what a character should’ve done. The majority of people looking at reviews are readers just like yourselves, hence, the review should be catered to that audience. I’d also like to note that there is nothing wrong with leaving negative reviews, but it shouldn’t be attacking in nature. Here’s a few tips on how to cover a book review so that readers can get the best from it. Make sure you give it a star rating. You can give any book between one star and five stars. This is the first kind of review that readers are looking for. Not everyone actually reads an entire review. If you’re reviewing on your blog, make sure to include the title, author and genre of the book. Not everyone enjoys the same genre of books. Inserting this will help your review reach it’s relevant audience. If you’re reviewing on Amazon.com or Goodreads, a captivating title sounds more appropriate rather than “Okay” or “Good”. Write a brief spoiler free synopsis of the book, leaving out the climax. Your synopsis should end with something that leaves the reader wanting more. If you must leave a spoiler, Goodreads has a built in tool that allows reviewers to check. However, try to refrain from doing this on your blog without warning your reader. After you write the synopsis, then write your review, why you loved the book, why you hated it, how it made you feel, what it reminded you of etc. As always thanks for checking out my post. If you have any more tips for book reviewers, I’d love to hear it. Happy Weekend! I haven’t been reading at my usual pace due to an influx in creative writing. That’s a good thing, right? Since I haven’t done much bookish posts recently, I thought I’d recommend some thriller reads. Halloween is near and I know everybody’s looking for a little scare. Now, these books are thrillers mostly in the psychological sense or mysteries if you will. They’re not haunting horrors and it won’t scare the skin off your bones but they do have twists and turns and I enjoyed them quite much. The book starts with the death of Nel Abbott, allegedly drowned. We get the picture that Nel wasn’t liked very much by her community because she was dredging up all sorts of stories from the past, surrounding the deaths of the women who drowned at the drowning pool. It’s soon learned that a few weeks before, Katie Whittaker, a fifteen year old girl who was best friends with Nel’s daughter, Lena, had met a similar fate in the drowning pool. Detectives Sean Townsend and Erin Morgan try to find out if there was any foul play in the deaths or if it was suicide, like the many who had died there before. Past events are tied with current events and there’s themes of love, hate, jealously, abuse, all of the above. I finished this book very quickly and would recommend it to anyone who loves a murder mystery. The Night Bird Starts with a girl Lucy riding in the car with her best friend. As traffic gets stuck on the bridge Lucy is somewhat getting paralyzed by her fear of bridges. Meanwhile her best friend freaks out for no reason and jumps of the bridge. Once Frost Easton starts putting the pieces together, it’s revealed that Dr. Frankie Stein’s patients are being targeted by someone called the night bird. Dr. Stein is a psychiatrist that alters patients’ painful memories, for instance if they have a fear of something or a bad experience. The Night Bird is out for revenge and send them on a wild chase, with a lot of plot twists and turns. Christine Lucas awakes every morning without any memory of who she is and who she is married to. Pictures tell her that she is married to a man named Ben. She believes herself to be in her twenties but in reality, she is actually in her forties. With the help of Dr. Nash Christine discovers the truth about herself and the disturbing things that accompany that truth.